Our highly qualified subject area teachers work individually with students and tailor lessons to meet their academic needs. 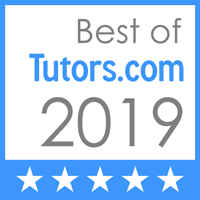 Most are state certified teachers, many have a Master’s degree, and a few have their Ph.D. Tutors are chosen due to their extensive knowledge of the subject matter, effectiveness of teaching vs. telling, and friendly, engaging personalities. We all know that having a vast knowledge of information does not make someone a good teacher. For actual learning to take place, the teacher must be able to explain concepts in a way that students can understand and must also be able to connect with their students. Our tutors meet their students usually once or twice a week for either 1 or 1.5 hours. During the session the tutor will help with any questions the student may have, re-teach any lessons that are not understood, help with homework, prepare for upcoming quizzes or tests, and with time permitting, teach the next few lessons in advance of the class. If our tutor introduces new topics in a one-on-one setting, it makes more sense when it is presented in the classroom setting. Our students find themselves able to participate more in class, with overall lower anxiety and higher self-confidence. Our teachers meet with small groups, from two to four students, once a week to provide on-going academic support year round for specific courses. During the weekly lesson, the teacher will review and practice course material to help students have a stronger understanding of the concepts and be better prepared for their tests, as well as the End Of Course or AP exam. Students should form their own study groups, choosing students who are in the same course, have the same teacher, and are at a similar academic level. Once you have chosen one, two, or three other students, please contact us to find out the available openings for that course.